It's midsummer. It's hot. Everyone's just a little bit cranky. 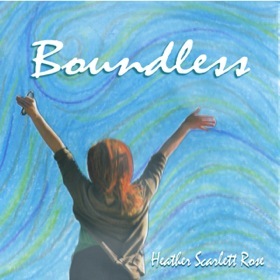 Why not slow down with Heather Scarlett Rose's Boundless? Rose, a graduate of Berklee College of Music, populates her songs with struggles and victories. There are certainly a lot of things to worry about in the world -- and what would a roots album be without acknowledging those? (Bro country, I guess.) But Rose doesn't let those things keep her down for long. Boundless has a breezy, 70s West Coast feel. That seems keeping in line with Rose's constant reminders to just let life roll through the way it needs to ("Take it Slow.") But the twangy guitars remind us of the Austin dirt under Rose's feet. As she meanders between country, blues, gospel, and folk, the generosity of Rose's spirit is clear. Boundless will help you take a step back and enjoy the moment, muggy as it is.